Our Products | roko business-affairs incorporated company is performing import and export of the foreign furniture in China, food, glasses (glasses), and LED in Osaka. roko business-affairs incorporated company is performing import and export of the foreign furniture in China, food, glasses (glasses), and LED in Osaka. We do not accept return goods. The core team of Roko has been engaged in Sino-Japan trading for a long time therefore has accumulated rich experience, extensive network and commercial channels in both countries. 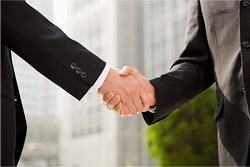 The team is highly proficient in bilateral trade rules, and customizing top quality service and solutions for customers to deliver new values, in the most efficient manner. Roko has established two manufacture plants for furniture products, and seconded staff to exercise on-site inspection and quality assurance all the year round. 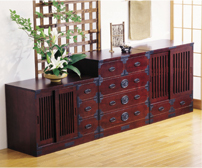 One of the manufactures is specialized in paulownia wood firing and galling wardrobe, the other is a comprehensive production center for large furniture. The paulownia wardrobes imported have been positioned in large supermarkets across Japan for communications trafficking, the market penetration has exceeded 50%. Paulownia is easily ventilable, moisture-proof, mould-proof, insect-proof and heat resistant. The reason being that apart from fine-grained, the wood fiber of paulownia expands in hot and humid summer, preventing moisture from intruding. While in the winter time, the wood fiber contracts and keeps the ventilation going through. 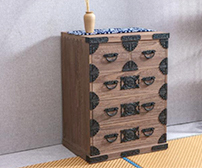 With this uniqueness, paulownia has been used for wardrobe to keep treasure and valuable garments since ancient times. Furniture of miscellaneous woods, and a wide range of small furniture products. Roko produces Chinese best-in-class dried apples by the specialized processing and preserving technique. 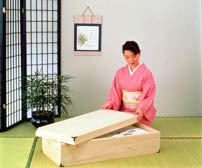 The products are widely welcomed and popular in Japan. Besides, the apple orchard is supervised by professors of pomology from China Shandong University, and applied with non-pesticide cultivation technology. The product is safe and healthy. Partnering with a18K Gold spectacle frame production firm, Roko launched the brand Gold Supreme for 18k gold spectacle frames, and introduced the product to China, Southeast Asia, Middle East and Russia. The partnering firm has been specializing in 18k gold spectacle frame for over 70 years. It has established the leading position in the global market for its superb electroless plate technique and above 750 gold content for pure gold spectacle frame. Being the only manufacturer in Japan to produce high grade βtitanium spectacle frame, the partner firm is specialized in top-class welding technique. With this partnership, Roko launched the brands of Andz and Belcom Mode for the spectacle frame, and introduced the products to China and Southeast Asia. As a result of the combination efforts and supports of many dedicated people, Roko Shoji Ltd established a new medical division, obtaining approval as a legal identity guarantee institution for foreign patients from Ministry of Foreign Affairs and Ministry of Economy, Trade and Industry of Japan. For details of our medical services, please click to http://www.roko-med369.com/.